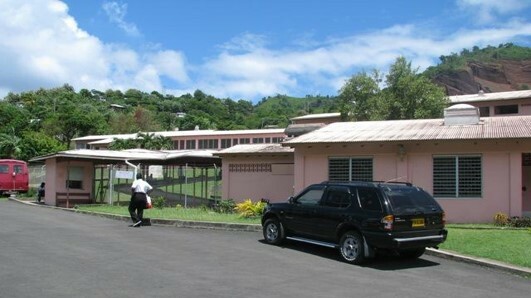 Workers at the Mt Gay Hospital have voiced complaints to their Union representatives about their unsatisfactory working conditions. Grimes commented on his interactions with one of the workers, who informed him that due to her severe sinus problems and profuse headaches, as a result of the stench in her workplace, she now has to undergo a head scan. The Union is obligated to listen to the plights of their representatives, and they are prepared to take further action in the coming days if the matter is not speedily addressed. President of the PWU, Mr Adrian Francis, also commented on the issue at hand. He said the health of the Union’s members are now at risk. It has been nearly 1 year since the workers have been exposed to the putrid odour, which is said to originate from the neighbouring housing scheme. In order to cope with it and get their jobs done, workers have resorted to wearing masks, however, Mr Francis says this is “not a conducive environment for work.” He stated that the authorities are taking too long to have this situation remedied.